Sent as a growing rhizome with new shoots. 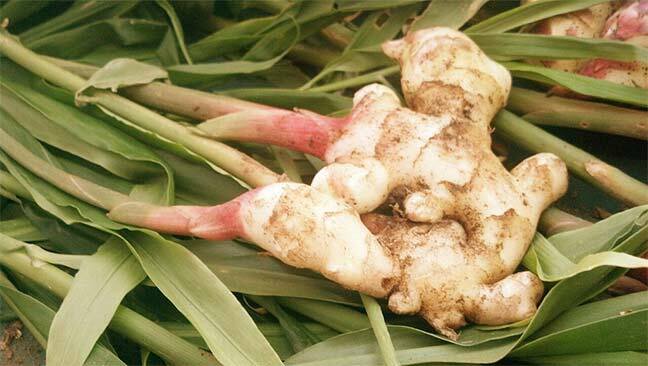 Ginger is a lush tropical plant with edible roots (rhizomes). When it dies down in Autumn and Winter harvest the rhizomes. Semi-shade to full sun. Protect from frost and provide irrigation in the summer if your climate does not have summer rains. Best in well-drained loamy soil (dig in compost). Can be grown indoors in cold climates.